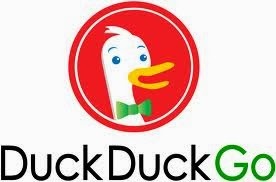 DuckDuckGo is the less popular search engine that focuses on privacy of its users. Although, it is not quite popular among users. But it claims to give a private search to users. While most of search engines track your search history, DuckDuckGo does not. Few days back, it added one more feature that gives users another reason of using DuckDuckGo. Now, you can create QR codes direct from DuckDuckGo search. QR code is also abbreviated as Quick Response code. It is a matrix code attached to an item that also records information related to the item. It is popular due to its fast readability and greater storage capacity. QR code is the black and white square matrix with many small square grids inside it. It can be scanned by any imagining deice and processed using Reed–Solomon error correction. Read More about QR codes on Wikipedia. If you want to create QR codes from DuckDuckGo, follow these steps. Once, QR code is ready, you can share it, save it as image or just share the search URL. You can use mobile device to scan the QR code. Be sure not to put mouse cursor on QR code before scanning. Use this new feature of QR code and share how you feel about this. Is it working fine for you.